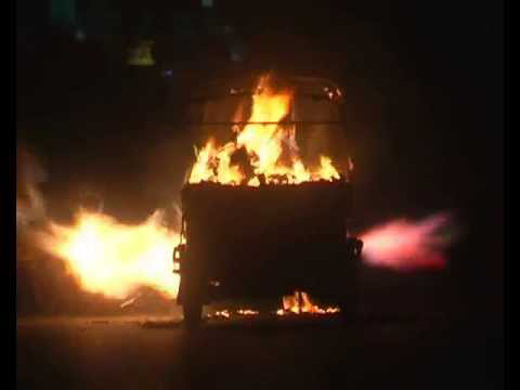 Kundapur: September 3, 2015: The two Auto rickshaws that were parked in a garage here in Kundapur were gutted in fire due to short-circuit on Wednesday Sep 2. The auto rickshaw belonging to Santhosh and Nagraj had some technical faults and they had parked it at the garage for repair. The incident occurred at night, and when the nearby residents noticed the flame coming out from the garage, they informed the matter to the owner of the garage who immediately arrived to the spot and tried to douse the fire. By then both the rickshaws were gutted in fire. Kundapur police arrived at the spot and a case has been registered against him.